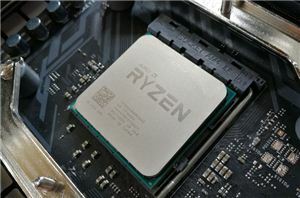 One of the surprises that this year’s Computex brought was renewed interest of various hardware suppliers towards memory modules. 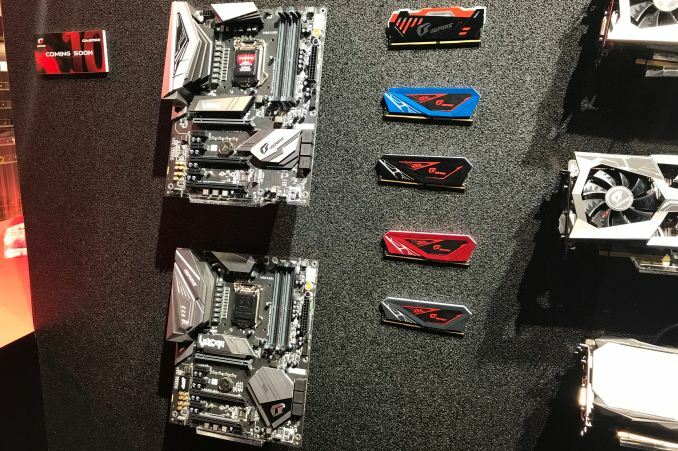 We saw GIGABYTE and Antec launching their Aorus and Antec memory respectively, but they were not the only newcomers. 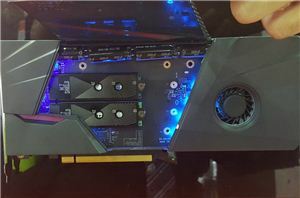 Colorful, one of the world’s largest makers of graphics cards, is set to diversify its lineup of products with memory sticks later this year. Being a newcomer, Colorful is not going to compete for the ultra high-end of the DDR4 DIMM market against renowned suppliers, but its lineup of products will still be pretty wide. The company intends to offer 8 GB and 16 GB DDR4 DIMMs rated up to DDR4-3600 and targeting platforms with dual-channel memory sub-systems. In line with the latest trends, the modules will be outfitted with aluminum heat spreaders of different colors (red, blue, yellow, purple, metallic, etc.) and with LED or even RGB LED lighting. Colorful said at Computex that its iGame memory modules will be ready for the overseas markets by the end of the year. Therefore, expect the company to finalize their specs and prices towards late 2018. One of the noteworthy things about Colorful’s announcement of memory modules is a promise to launch them overseas. Meanwhile it is important to note that the company’s graphics adapters are not available on all markets. For example, it is not easy to find Colorful’s video cards in the U.S. Since the company mentions overseas markets in its announcement, perhaps, this may indicate that Colorful is going to be more active on these markets in general than it is today. Everyone's looking for easy ways to branch out their product lines. Adding memory chips onto a DIMM form factor and mass producing a specific aluminum heatsink in different colors with different stickers is the easiest way to branch out. These business are likely stuck because: a) People aren't building new PCs since Intel's not innovating and getting to more exciting lower nm process nodes and are still being reluctant on giving more cores to consumer products, b) memory prices are high, c) graphics card prices are high, and a new generation of mainstream GPUs haven't been on the market for about 2 years now. Before this, lots of companies were looking into branching out into all-in-one CLC, using Asetek OEM parts and tooling. And before that, it was companies branching out into SSDs. Even now, lots of non-case manufacturers (such as Asus) are looking to making PC cases because that's the next logical step. It used to be that 10 - 20 years ago, the product many companies branched out to was case fans, but it's a lot harder to do that well, since there's a lot of crappy OEM fans out there and you don't want your brand name soiled by having it associated with bad case fans. 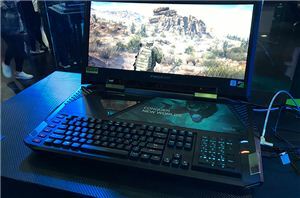 Additionally, it's beneficial for them to build stronger brand image and try to entice loyal customers to building PCs entirely made of parts they provide, as a one-stop-shop kind of deal. ex: A fully Asus branded PC build using Asus mobo, Asus case, etc. The fan example is perhaps not the best. When those manufacturers branched into fans it was because the fans on the market were either too expensive to put in their products or to low quality. How does this measure up to today's situation? 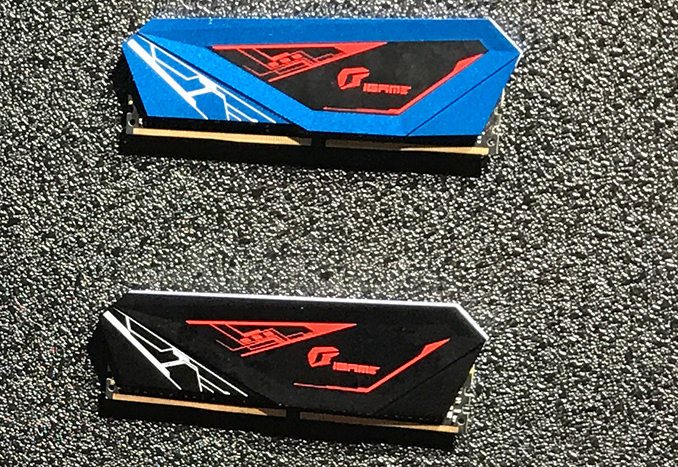 Colorful does not put RAM modules in almost anything and the market is already flush with plenty of RAM models at all possible price and quality points. So the "business case" is that they will branch out with a product that might return some profits if only they manage to convince someone that their run of the mill model is worth picking from a pool of 100 run of the mill models at similar prices? And only if the RAM prices hold high? I mean just over the past few days AT published articles on how other players like Antec are doing the same thing and my question remains unanswered. Is there anything specific that would make me choose what could very well be an obscure brand for many instead of more established players at the exact same price and performance levels? Or worse, since these guys might not have the same economy of scale?